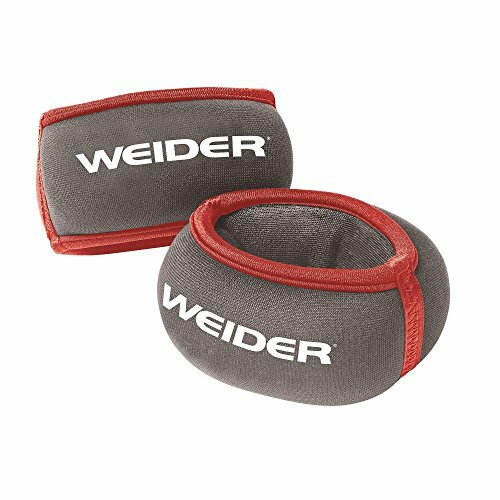 These Weider Pair Wrist Weights are an easy way to increase the intensity of your workouts. They have a unique design that fits right over your hand for easy usability. These Weider Wrist Weights feature a neoprene SoftSkin fabric that is comfortable to wear, ensuring you get the optimal exercise routine that you want. They have a compact size that makes them simple to store when not in use. These weights come in a convenient set of two. If you have any questions about this product by Weider, contact us by completing and submitting the form below. If you are looking for a specif part number, please include it with your message.